The intention of this book is to give an overview of Alfred Adler’s fundamental ideas tracing the development of his theory of psychotherapy during the years between 1912 and 1937: the compensation of inferiority feeling and the founding of the concept of community feeling in emotional experience, in body and mind and in the philosophy of life. Adler doesn’t adopt an objectifying external perspective; he doesn’t see the overall context from outside from a reflective distance, but rather looks from his experience of human society onto the contingency of human life. All of his theoretical concepts are bound up in this holistic approach. Adler’s theoretic development shows that the basic concepts of Individual Psychology are not only descriptive labels; they grow out of inner experience. Adler expresses harsh criticism of all forms of community governed by the “will to power” and pleads for a cooperation in terms of real social interest or community feeling. This E-Book is a revised edition of the introduction to the third volume of the Alfred Adler study edition published in 2010. A new chapter has been added: »The relational dimension of Individual Psychology«. The step-by-step development of Alfred Adler’s thinking is described following lectures and papers collected in the study edition. The quotations are taken from the original versions of Adler’s papers. Kundenbewertungen für "The Development of Alfred Adler’s Individual Psychology"
Dr. med. 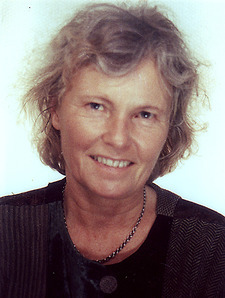 Gisela Eife, Fachärztin für Psychotherapeutische Medizin, Psychoanalyse und Psychotherapie (DGPT, DGIP), ist in eigener Praxis tätig und Lehranalytikerin, Dozentin und Supervisorin am Alfred-Adler-Institut München.